Who’s Going to Buy Them When the Boomers Cash Out? This week I want to highlight a problem I see in the making. Who’s going to buy all the stocks and assets in the markets when the baby boomers cash out? If you read the full article, ironically, you’ll see that it’s an article that quickly moves into the costs of long term health care, and though they didn’t say it, sadly outside the control and commission structure of advisors. The second problem they highlight is that financial advisors are having trouble connecting with the kids of the boomers. Those feisty kids are a bit “rebellious,” so they are not as likely to use mom and dad’s advisor. These are huge problems…….for advisors. But where’s the concern for the masses of stockholders, people whose assets are largely invested in the NYSE and NASDAQ? Where’s the concern for us and our well-being? Baby boomers hold over $30 trillion worth of stocks and bonds that they plan to use to fund their retirements. If that’s the case, they must sell these equities to get the funds for their retirement lifestyle. Here’s the $64,000 question: “Who will buy these stocks?” The Chinese? The Arabs? The next generation? The Fed? Hmmmm. More on that later. If you think stocks have been on sale in the past, just wait. Unless there are huge buyers lined up (there aren’t!) who want to own these stocks at higher prices (really? ), the fire sale hasn’t even begun. Over the next 18 years $30 trillion in equities must be liquidated. I repeat: Who’s going to buy them? Let’s start with simple economics. Supply and demand. Ho-hum. Boring most people say. However, the fundamentals of this basic concept highlight a serious concern for the stock market, and more specifically, the actual owners of all these equities. First, there’s the demand side. It’s easy, right? People pay more for things that they want and less for things they want less. Garlic ice cream would have to be given away, while Haagen Dazs salted caramel commands a nice premium. The same holds true in the stock market. As long as more money chases a fixed quantity of stocks, prices will rise. Spoiler alert – The number of stocks available for purchase is falling and monetary supply is increasing. The second part of supply and demand is the supply side. If there’s scarcity, people will bid up the price. Lamborghini is a great example. If they, Ferrari, and Aston Martin each cranked out 5 million cars a year, could they get $300k per unit? They’d like to, but there would not be enough buyers in the $300k price range, and they’d have to dump the cars to get whatever they could back, right? If there’s too much of something and not enough buyers, prices will fall. When the big selloff from boomers happens to pay for long term care, groceries, trips to Europe, etc….the supply of stocks will go up significantly. But once again, (chorus) sing it with me now. Where are the buyers for the new gobs of stocks coming into the marketplace going to come from? The Dow is at all-time highs. Is the new high mark a bubble? Some experts say yes. Some say no. Milton Friedman is quoted, “Inflation is always and everywhere a monetary phenomenon.” What he’s saying is that inflation happens when there is too much money, or an increasing supply of money like QE, available to buy a fixed or decreasing supply of products. Let’s go back to the supply issue again. But this time instead of using expensive cars as an example, let’s use the price of cement a few years ago when China was building a city the size of Seattle every month. There wasn’t enough to go around, because Chinese contractors were buying it all up. The price of cement rose significantly. Price Inflation. So how about the supply of stocks? Is it increasing, staying the same, or decreasing? Here’s some alarming news. The supply of stocks is at an eleven-year low……and FALLING. If there were a fixed supply of money chasing a falling number of goods, we’d see inflation. Now imagine that we have a growing supply of money chasing a shrinking supply of goods. Anyone besides me see a perfect storm coming here? The above chart shows the supply of product. Stocks available for purchase. Now let’s look at demand. Since 2008, get this, over $12 trillion (let me write that out: $12,000,000,000,000) has been created out of thin air by central banks around the world. The U.S. accounts for $3.7 trillion of it. Governments have printed trillions of dollars, and it had to go somewhere. For a long time, it went towards rescuing failing brokerage houses. It went into bank vaults to prop up the balance sheets and horrendous sub-par liquidity issues that banks created on themselves. So, this money really had no velocity at all. It was just sitting there doing nothing. The lesson here is that creating more money alone won’t create inflation. There’s one more crucial element at play here. The “velocity” of money is money in the economy doing something, being spent or invested. As long as the QE money was in a basement, locked in a vault, or electrons in a mainframe somewhere doing nothing, inflation won’t happen. It takes the movement of money, that money out there buying things, to get inflation started. The formula below showing the relationship of money, velocity, goods, and price is simple and easy to understand. These 4 things are all directly related. If M (the money supply) goes up, but V (the velocity multiplier) is zero, then nothing changes. Print $1 trillion and plug it into the formula. One trillion dollars times zero equals zero. Print $12 trillion and plug it into the formula. How about a million trillion? Still zero. Price levels stay about the same no matter how much money is printed…… as long as that money is hidden away in a basement vault somewhere. But what happens when the “V” becomes 1, or 2, or 3? Look out Nellie, because money is hard to keep locked down in vaults. It’s especially itchy in the hands of investment bankers on Wall Street who need velocity to create trades. Because trades create ……. wait for it….. COMMISSIONS. Money always finds a way to get active. So as long as the monetary supply was trapped in the basements of banks, not a big deal. But set loose on the market, that money, with velocity, chasing a smaller number of stocks, is doing what it does according to the simple formula above. It’s increasing prices of stocks. We’ve seen a record run up since 2008. We’ve seen the inflation of prices of stocks in the market. Now I’m not a bear. I hope I’m wrong. I hope that the market will grow, grow, grow, and hit 100,000. That would be a wonderful thing for society and the baby boomers retirement lifestyle dreams. But will it? Can it? The bottom line is who is going to buy the stocks at the newer higher valuation? Who? For the savvy investor, it always comes down to the basics of supply and demand. Companies which supply a product that people want can earn a profit for serving the needs of others. Great companies always focus on these basics and, over the long term, they succeed. Zig Ziglar, a great trainer of professional sales people, had a saying that formed the foundation of everything he did. True business is always about the client and their needs. Find the demand in the marketplace and serve that. Serve it well for a fair price and earn an honest profit for that service. Compete against others to drive better products, service, and price for the consumer. This is the hallmark of capitalism. Supply what the market demands. Out of curiosity, I wonder about credit default swaps on mortgage backed securities. Who did they serve? Where was the client in this equation? Or was this simply a way for fat cat Wall Street brokers to make money in the markets, from the markets. Gaming the system as it were. If so, it was destined to come crashing down. And it did. Now with QE something or another out there, and over $12 trillion chasing a declining number of stocks, where does this go? How does this end? Is there room to ride the bubble up some more. Maybe, but talk about risk. No one ever really predicts the exact top of the bubble. I know that I exited the equity markets in 1997 when I saw the tech stocks getting silly. I got out too early. The run up lasted another 3 years. “Irrational exuberance,” as Milton Friedman also said? I don’t know, but when I can’t see the tangible value to the stock owner, I have to wonder, “What am I paying for?” Exuberance? Last week I wrote about investing outside the masses – diversifying outside the stock market with some of your portfolio. Buying true tangible assets that have worth. The challenge most people face when thinking about alternative investments is the issue of risk, fear of the unknown, fear of being outside the masses. But are real risk and the perception of risk the same thing? Sometimes, yes. Sometimes, no. It takes a hard analysis of the facts to find out. But can we look at the facts? Many people drive cars, yet are deathly afraid of flying. This is insane, because statistically flying is 60 times safer than driving. But people will zoom down the freeway texting on the way to the plane, and be deathly afraid of the flight ahead. So how does this tie back into investing? At first glance, what appears or feels risky, may actually be a lot safer than what we know. Flying is far safer than driving. Yet for many, it feels exactly the opposite. 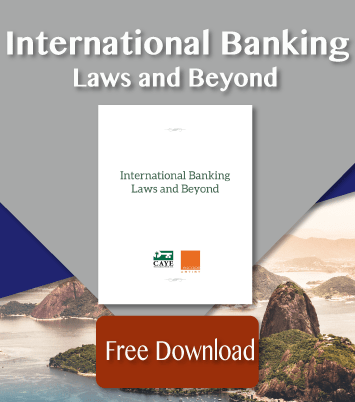 Another example: Ownership of property in Latin America or even ownership in a development company working in the region may seem like a great risk. But is it? What if a small amount of due diligence on your part would uncover the facts and reality of such an investment? What if you examined this data under the light of objective scrutiny and it showed that owning a hard asset overseas was indeed less risky long term than owning a stock market index or mutual fund from Wall Street. Are you ready to act? The famous 20th century economist, John Kenneth Galbraith, sums up the issue very well. “Faced with the choice between changing one’s mind and proving that there is no need to do so, almost everyone gets busy on the proof.” Are you everyone? Or are you someone who can look at the facts and make an informed decision with logic and rationality? The time to act is now. But how? One way is to get ahead of the curve. As the 80 million boomers begin to sell off the vast $30 trillion holdings of securities they own, the price that they receive will be determined by the laws of supply and demand. But no matter what the price (likely lower), many of these folks will still have some cash in hand and will want and need to spend it on their retirement. But with less cash, what options will they have for a high-quality retirement that comes close to meeting their champagne dreams? According to a Zogby Survey of 103,000 U.S. Citizens, over 11% of have expressed an interest in living or owning property overseas. In addition to the U.S. baby boomers, nearly half (45%) of the Canadian boomers plan to spend at least a month or more outside Canada in retirement, according to a TD Waterhouse survey last year. Already, over 613,000 U.S. Citizens pick up their Social Security check at an embassy or consulate outside the United States. You see, this trend is not “going to happen.” It is happening. Boomers are moving south to take advantage of the lower cost of living and higher quality of life. 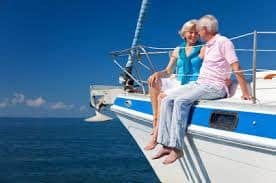 With less money than they anticipated, how many more boomer retirees will consider the option of a life outside North America? Will they buy? Will they rent? Who is going to be their landlord? Who will own the home or condo they will buy? Who is going to own the company that develops the resort retirement community they choose? Why not you? The uncertain markets in the future will certainly have more folks looking south of the border for the high quality, affordable retirement they’ve always dreamed of. People, who for 40 or more years have worked hard and planned for a warm weather retirement, may no longer be able to afford a North American dream retirement in their golden years. There are some great options. Imagine living in a country where a one-hour massage costs a mere $12.00, movies and popcorn for two less than $8.00, organic produce is delicious and affordable, where a full-time maid costs less than $150 per month. A maid, what does that mean? No more chores ever. Smart, forward-looking investors will put themselves in the path of progress in the same way that Levi Strauss built hardware stores to serve the gold miners. More and more people will hear about the golden life south of the border and they will want to have it for themselves, too. Old Levi ran a boring business of selling shovels, boots, and jeans. Boring, but exceptionally profitable. He served the needs of consumers and he got there first. You can too. You may be already tuned into the incredible opportunities outside of North America. If so, then you are already ahead of the curve. You probably see how owning a home or condo outside the U.S. will provide you with a wonderful lifestyle. You may know, too, that you can be a landlord to the millions of visitors coming south for a vacation or the annual snowbird experience. You can own a rental property and earn a diversified cash flow. Or better yet, accredited investors can actually own part of a business that serves these arriving consumers. You can, just like old Levi Strauss, help provide something that is desperately needed and desired. You can earn a nice profit for that service. The megatrend of retirement south of the border is already happening. Jump in. Do some research. Look at the facts. See if the risk and perception of risk are aligned. Perhaps there’s a nice perception gap there for you to profit from.